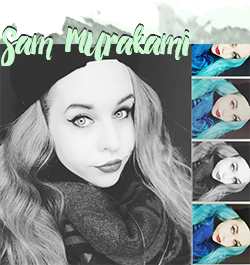 Life is a little bit hectic at the moment - lots of things happening in private life, I participate in different things and sometimes I even have to go to university. Unbelievable. But the thought that these will be my last 7 weeks of university for quite some time gives me enough motivation to pull through! 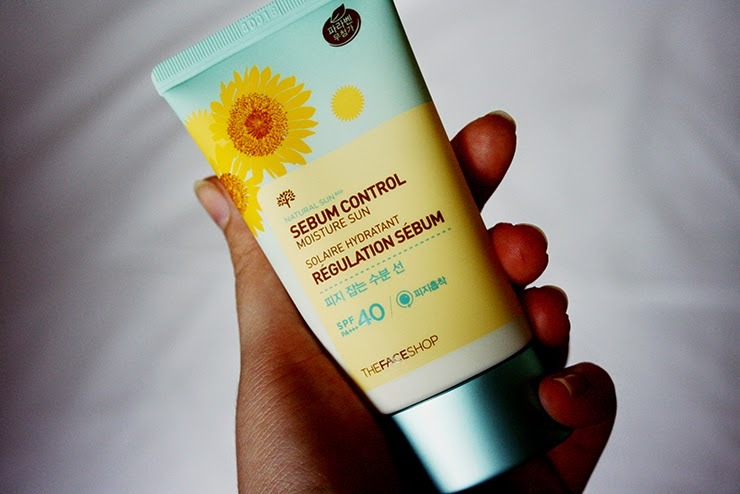 So today I have a special review for you guys - the first sunscreen that I bought in Korea! :D And, to be honest, the first sunscreen that I really am using daily on my face. I honestly wasn't aware for the longest time that one should wear sunscreen every day - in Germany, most people only wear sunscreen when they travel to Spain or some other country with a hot climate to lie around at the beach. But daily sun protection is so much more important because the skin is doing harm to our skin on a daily basis. Yes, even if it is super cloudy or even snowing (especially when it's snowing, most people who ski know what I'm talking about.) So girls, take this seriously - wear sunscreen everyday. Without exception. You will be rewarded with less wrinkles, less sun damage, less age spots and overall more healthy skin less prone to skin cancer. 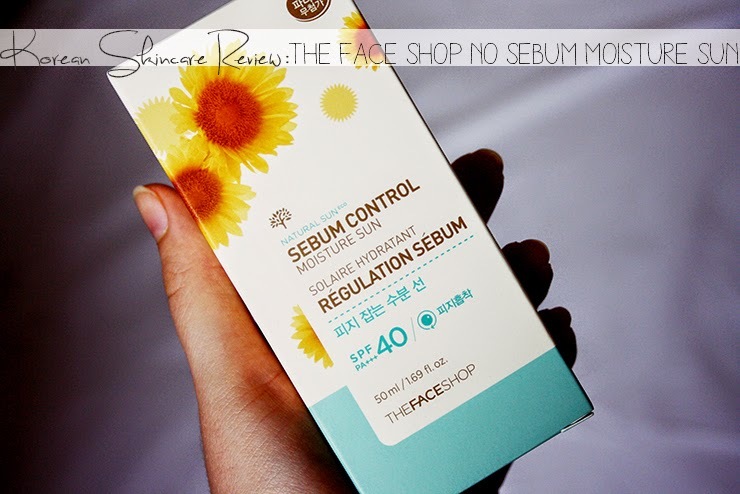 As the "No Sebum" name indicates, this sunscreen is especially suited for oily skin. My skin is not extremely oily but definitely tends toward the more oily side, especially in summer. Unfortunately I didn't take a back picture of the package where the ingredients are stated.... I always expect ingredients on the actual product which is where ingredients are written in Germany most of the times. However, I know that this sunscreen contains alcohol so if you're sensitive to that, you may want to look for something else. Alcohol fairs especially well with oily skin and it is the main factor why this sunscreen is able to dry relatively matte instead of a super greasy mess. The sunscreen is a lightweight cream that doesn't feel heavy at all. 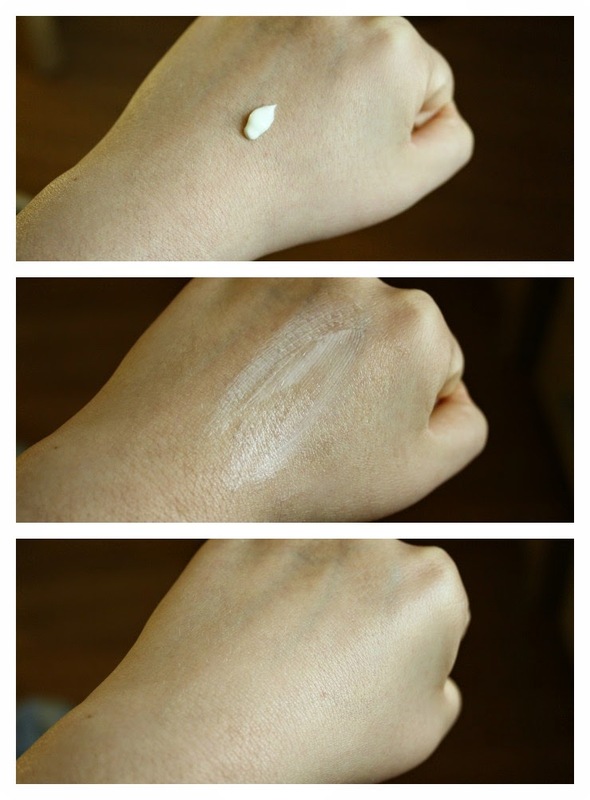 It is noticeable on the skin for about 5-10 minutes. It is very easy to spread and dries relatively matte for a sunscreen. I sometimes need to blot before I put on my make-up but that is mostly when I am running out of time. You can see on the last picture that there is a sheen but it is definitely not greasy. This is a chemical sunscreen which is why it does not leave a white cast at all. It says "Moisture Sun" but I am not too sure about that. I don't feel it drying but I also don't feel that it is especially moisturizing. I think it makes a really nice make-up base though, my IOPE cushion stays like no tomorrow even with this layered underneath. I have used this sunscreen since August and there is still about 1/3 or 1/4 in the bottle I'd say. I probably can make it through November before I run out! Although I use a lot on my face (as you should use about 1/4 teaspoon of sunscreen for your face to ensure the SPF printed on the package) I am using the small bottle of 50ml, they also sell a bigger version of 100ml which I will definitely get when I am running out/before leaving the country! Needless to say, this sunscreen does not break me out which I am super happy about! I wish this had SPF 50 but since my IOPE cushion foundation has SPF 50, I think it will be just fine in the end. All in all, I love this sunscreen and will continue using it. I want to try out other sunscreens here in Korea but I will def. buy the big bottle as a backup in case my skin doesn't like other sunscreens I try, I know that I can come back to this! I feel my first daily sunscreen purchase was a big jackpot :) If you have any questions about this product let me know! What is your favorite daily sunscreen..?